Ever since MPEG-2 was introduced in the mid-1990s and transformed the industry, enabling an explosion of channels and VoD content, the industry has been continuously striving for more efficiency in video compression. H.264/AVC appeared in the mid-2000s, offering the same subjective quality at approximately half the bitrate and facilitating the launch of HDTV services. Now a new standard, High Efficiency Video Coding (HEVC), has been developed that promises a further factor-of-two improvement in compression efficiency for the mid-2010s. This is likely to act as a key enabler for new types of video services delivered via IP streaming, as well as new services at UHDTV and 1080p resolution using traditional cable, satellite and terrestrial broadcast networks.  The DVB organisation has evaluated the use cases and requirements of its members in order to specify how HEVC should be implemented when in a DVB environment. A DVB environment is where the transport of the underlying video is specified by the DVB. For the first phase of HEVC it covers MPEG Transport Stream (typically for broadcast applications) and also DASH (for adaptive bit-rate streaming over IP). Some of the major applications targeted by DVB members include: l Digital terrestrial services, combined with DVB-T2 transmission to enable additional HDTV services. This is partly driven by the squeeze of available transmission frequencies (as more frequencies are assigned to mobile broadband) or in some countries the availability of additional frequencies as part of analogue switch-off. l IPTV, both to extend reach in the last mile and also to enable the introduction of HDTV services to more homes. l Streaming of TV and VoD over the internet. l Introduction of UHDTV services. HEVC makes this practical over most broadcast and streaming networks. The DVB standardisation specifies the capabilities of the decoder (called the IRD) and sets the minimum capabilities required for an IRD. For HEVC the DVB has defined five types of IRD: 1080p50 HD, 8-bit; 1080p60 HD, 8-bit; 1080p50 HD, 10-bit (including also 8-bit); 1080p60 HD, 10-bit (including also 8-bit); and UHD-1 phase 1, 10-bit (including also 8-bit). The diagram in Figure 1 shows a mapping of these IRD types onto the MPEG profiles and levels. Technical overview Following the development of the HEVC standard, a key question was to determine if it had achieved the design goal of requiring only half the bit-rate for the same subjective quality as H.264/AVC. The easiest form of comparison is to make a simple objective measurement, such as Peak Signal to Noise Ratio (PSNR). However, a formal subjective evaluation is required to determine the actual quality that would be perceived by viewers. This issue was addressed here at the IBC Conference yesterday (Saturday), when the results of a formal verification test performed by JCT-VC were presented. These indicate that the subjective performance of HEVC is actually better than expected, as illustrated in the chart (see Figure 2). For the sequences tested, the average bit rate required by HEVC for the same subjective quality as H.264/AVC was 41%, with the higher resolution sequences giving the greater savings. The suite of DVB standards was extended this year to allow DVB services delivered by IP, cable, satellite or terrestrial broadcasting to benefit from the improved efficiency of HEVC coding. A new specification defines the delivery of DVB services using Dynamic Adaptive Streaming over HTTP. This includes DVB profiles of the MPEG-DASH standard that enable both on-demand and live content to be compressed using HEVC and delivered by IP streaming. The DVB standard for the use of Video and Audio Coding in Broadcasting Applications based on the Transport Stream, TS 101 154, is used for cable, satellite and terrestrial broadcasting as well as many IPTV systems. This specification has been revised to include HEVC compression, with receiver conformance points defined for UHD-1 (2160 x 3840 pixels) and 1080p HD (1080 x 1920 pixels). A UHD receiver is required to support all of the defined video resolutions, bit depths and frame rates, while the four different variants of HD receiver are required to support only specific sub-sets of these. Frame rates up to 50 and 60 frames per second are supported in UHD-1 Phase 1, which also includes hooks for forward compatibility with UHD-1 Phase 2 signals that may be up to 100 and 120 frames per second. What next? Now that there is an internationally recognised standard both for broadcast and streaming applications it is expected that services based on HEVC will rollout shortly. Many operators are, understandably, keeping detailed plans confidential. It’s already clear that new set-top boxes and IDTVs capable of supporting DVB compliant HEVC will be deployed from early 2015, with OTT streaming services possibly starting earlier than that. The DVB is continuing to work on future enhancements to its broadcast and streaming standards with future additions expected in the areas of next generation audio, next generation subtitles and further phases of UHDTV (potentially including higher frame rates, High Dynamic Range and other enhancements) as well as the application of HEVC to other applications such as video contribution.